Portland, ME - David A. Hellin, 75, of Portland died on February 23, 2018 at his home. He was the husband of Christine A. (Langway) Hellin. David was born in Portland, ME on February 26, 1942 a son of the late Dwight P. & Dorothy M. (Finlayson) Hellin. A lifelong resident of Portland, he attended local area schools and was a graduate of Portland High School. He spent twelve years active duty in the US Army as a combat engineer where he volunteered for three combat tours during the Vietnam War. After his honorable discharge he worked in construction, mainly as a boilermaker. David was an active member of the Paul Mallia American Legion Post 161, the VFW Post 6859, Portland and the Columbia Club. He enjoyed spending time with his fellow veterans and friends at the Paul Mallia Post aka “The Bunker”. He also liked to take Sunday rides to places of interest such as Old Orchard and Fort Williams; he especially liked taking these rides in his son’s Audi. 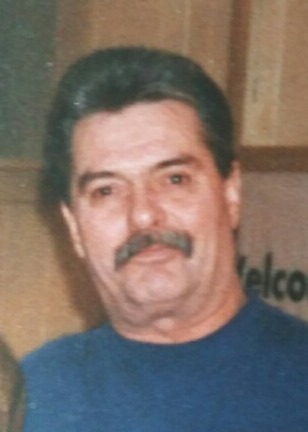 Besides his wife Christine, he is survived by his son David D. Hellin of Portland and his step children Shelly Curtis of Standish, John McDonald Jr. and his wife Kathy of Oxford, Tammy Flaherty of Westbrook and Scott McDonald of Windham, as well as several step grandchildren and great grandchildren. He was also the brother of the late Donna Wasson. Relatives and friends are invited to attend a visitation on Wednesday, March 7, 2018 from 10 -11 a.m. at the Wilde Memorial Chapel in Evergreen Cemetery, 672 Stevens Ave., Portland, ME. A graveside service will follow at Forest City Cemetery, South Portland, where he will be buried with his parents.